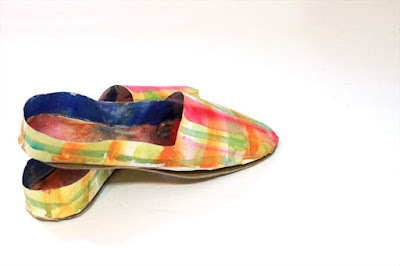 Mark Montano: Are you SHOE it's made of paper? 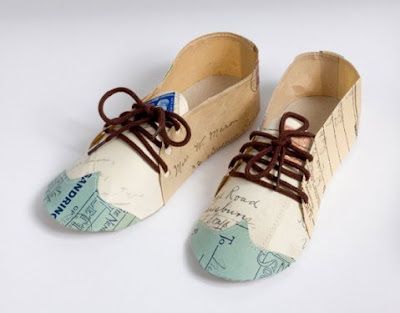 Beautiful paper shoes from around the world and web. These look fun to make. So inspiring, don't you think? Terrific mixed media project that would be the most amazing gift (and card) all in one! 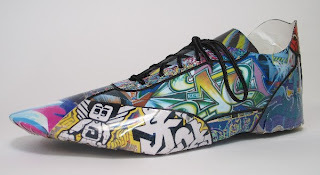 Colin Lin is a Taiwanese designer and these shoes are not only beautiful, but wearable! They are woven newspaper coated in plastic. 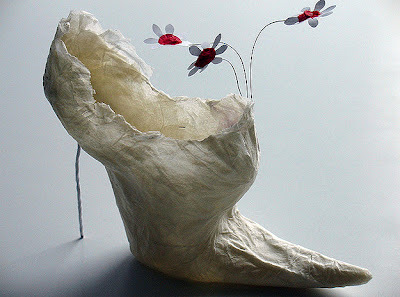 Isabell Buenz is a wonderful paper artist and I think these shoes are magical. Jennifer Collier makes tons of different paper shoes and they are ALL wonderful. I enjoy her work so much and she's worth a Google! Naomi Bardoff has a terrific sense of color and she creates more than just shoes. She's wonderful at using even her tiniest scraps for beautiful projects like these. 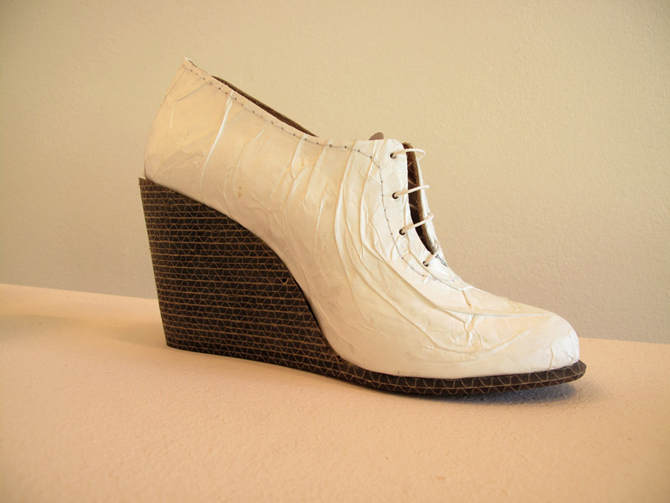 Roderick Pieters has managed to create a pair of shoes that actually look like they could be walking down a runway. Not only are they super stylish, but something about his designs makes you actually want to put them on and walk around in them. 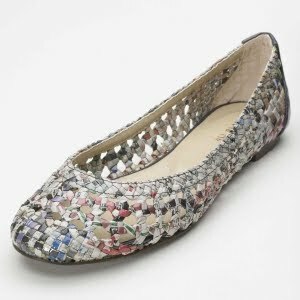 I saw these on Paper and Pippette and thought they rocked. 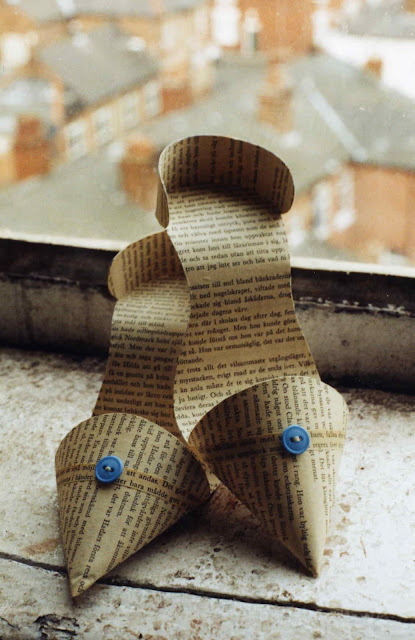 It's a paper shoe that my older niece (who loves to craft) would want to make. 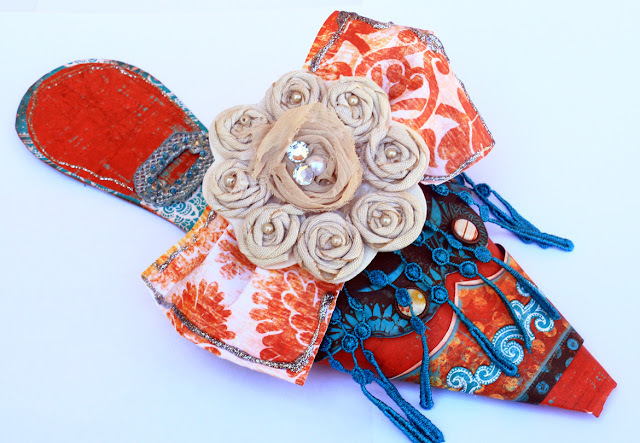 Heck, if these were in printed leather I would wear them! 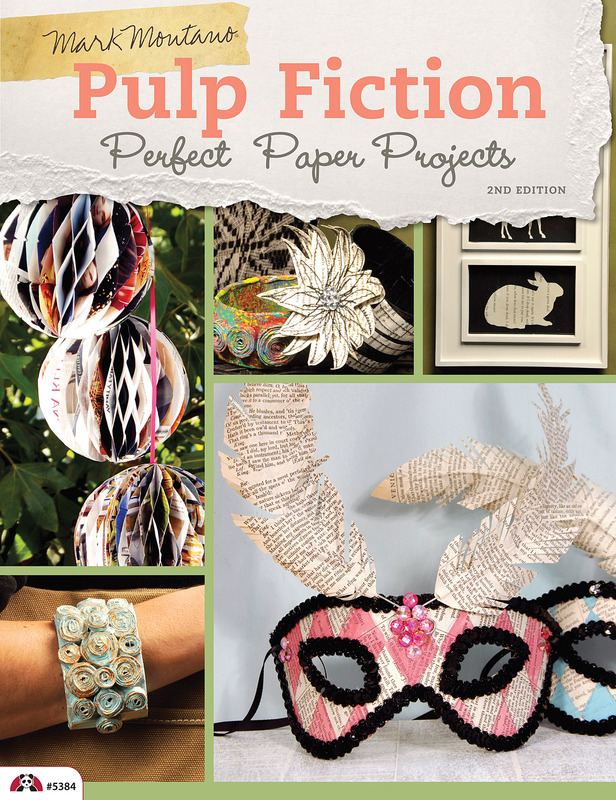 Make sure to grab a copy of Pulp Fiction Perfect Paper Projects 2nd Edition. New projects and a whole new layout! These are awesome!!! Love that first one. What gorgeous paper shoes!!!! Stunning work! Incredible paper shoes! Love them all! My Shoe is in this post below.